(L to R): Emma Scott, Doreen Scott, Graham Rose (Club Captain), and Gillian Duncan (Co-ordinator/Chairperson at East Neuk First Responders). Photo courtesy of East Neuk First Responders. Doreen Scott from Crail, Scotland survived a Sudden Cardiac Arrest (SCA) attack thanks to a community HeartSine Automated External Defibrillator (AED) located close to her home. Scott suddenly collapsed without warning while at home after suffering a SCA. As soon as she collapsed, her daughter called the emergency services and began cardiopulmonary resuscitation (CPR). Scott’s husband then fetched the nearby HeartSine AED stationed just moments away in the community center. The family placed the HeartSine defibrillator electrodes on Scott’s chest, as instructed by the device, and then assessed her heart rhythm and determined that a shock was necessary. The device advised and administered the shock and her heart began beating normally. Thanks to the efforts of Scott’s family, as well as proper CPR and the HeartSine AED, she is alive and well today. As a result of the incident, Scott has opted to take advantage of HeartSine’s Forward Hearts program, which lets survivors of an SCA event, in which a HeartSine defibrillator has been used, to potentially save another life by donating a HeartSine samaritan® PAD to the charity or organization of the survivor’s choice. 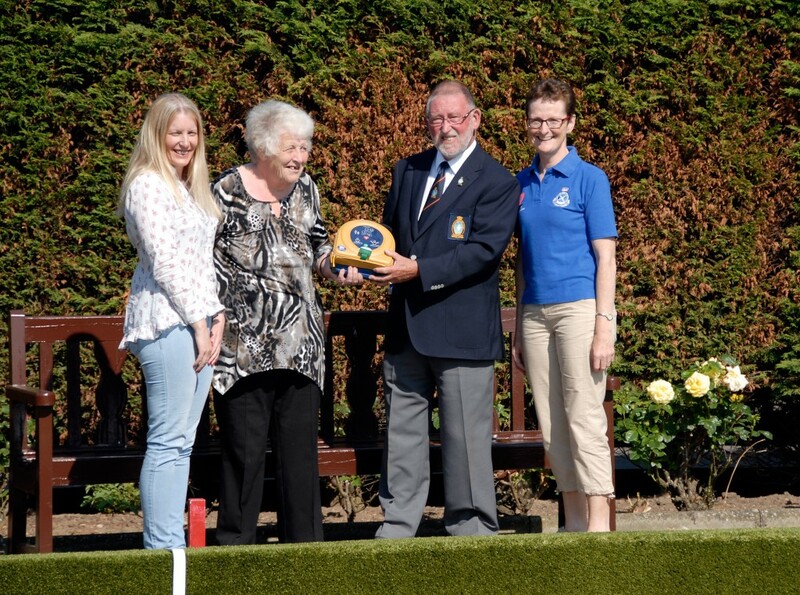 Scott has donated her AED back to the community of Crail, where it will be stationed at the Crail Bowling club and accessible to the citizens of Crail. Both the HeartSine device that saved Scott’s life and the donated AED were installed by HeartSine Distributor, East Neuk First Responders. SCA often happens without warning, and when it happens, it is often devastating. It can happen to anyone, anywhere and at any time. SCA can strike regardless of age, race or gender, affecting all ages from infants to seniors. SCA strikes almost six million people a year around the world. With a survival rate of five percent or less, SCA is responsible for more deaths than breast cancer, lung cancer, and HIV/AIDS combined.